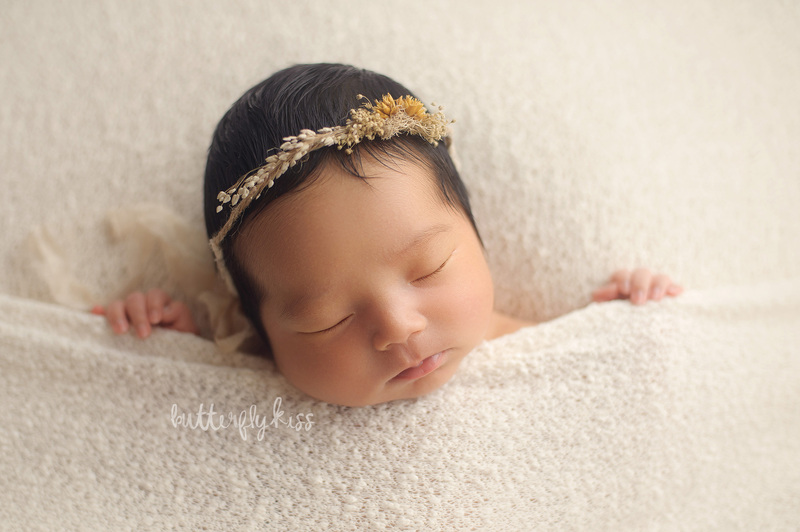 After nearly 10 years as a professional photographer, I have a lot of experience working with newborn babies. I hardly ever have a baby that is truly challenging to photograph which is good news. However sweet Marissa Grace may have been the EASIEST baby girl I have photographed at my studio! Her mama contacted me to be her Olympia newborn photographer after she found out I was working on this display at St Joseph Hospital where she is a nurse. She has perfect timing, since her baby was just under two weeks still. Babies under two weeks tend to sleep better while I pose them and curl up womb-like rather than stretching out their limbs. This means I can get the most variety and cute poses while they just snooze away in baby dreamland. 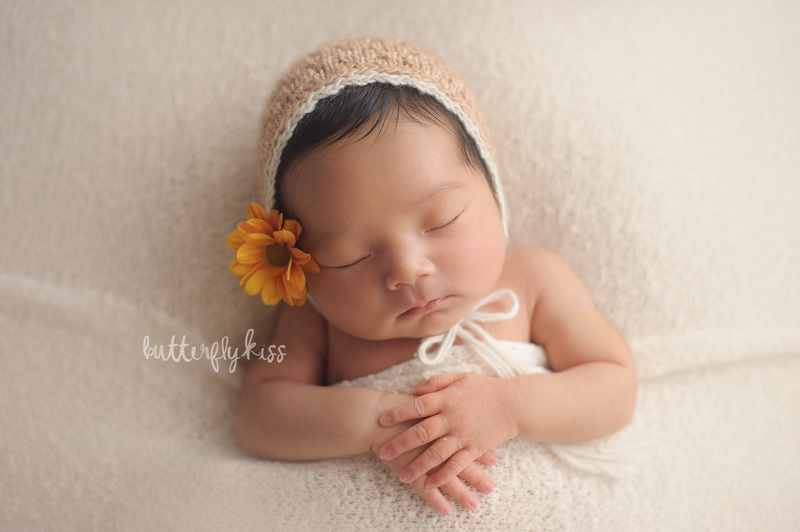 Of course I am also an expert at working with older and more alert or awake babies for newborn sessions too. Marissa’s entire session was styled around this beautiful wildflower bouquet I happened to pick up from our local Trader Joe’s grocery store. The colors were rustic and muted, with a hint of salmon pink, golden yellow, white, and greens. I couldn’t resist tucking one of those sweet blooms in to her hat for a shot too. 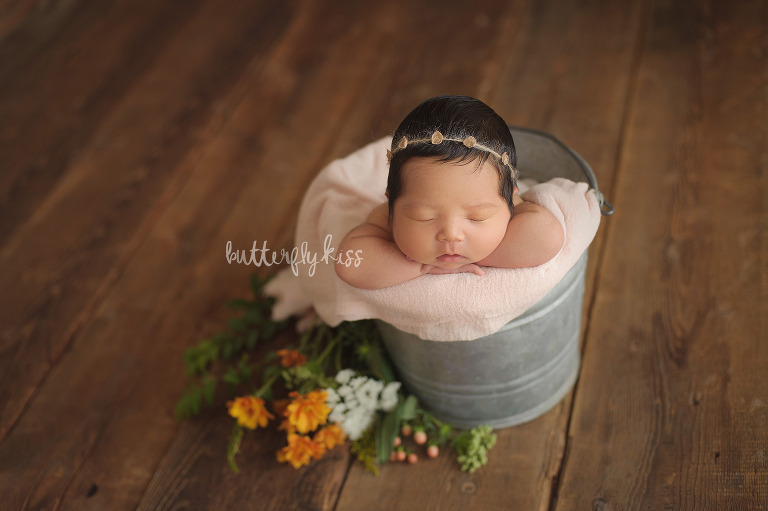 I love finding inspiration for real flowers in newborn pictures and seeing how I can use them multiple ways. Are you delivering at St Joseph’s hospital? If so be sure to take a look for Marissa’s picture in the hall. Her canvas is hanging as part of a display I donated to the hospital on the 12th and 14th floors. 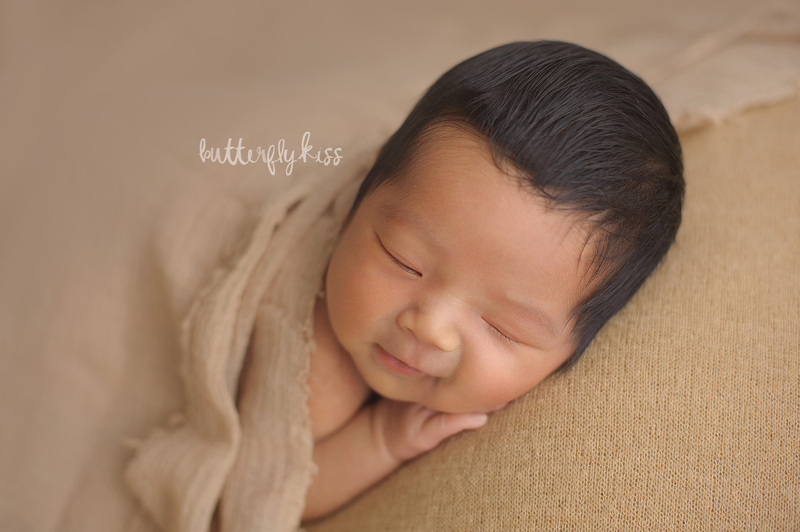 If you are looking for a Tacoma or Olympia newborn photographer to capture your new baby, please take a look at the details and get in touch to check availability.